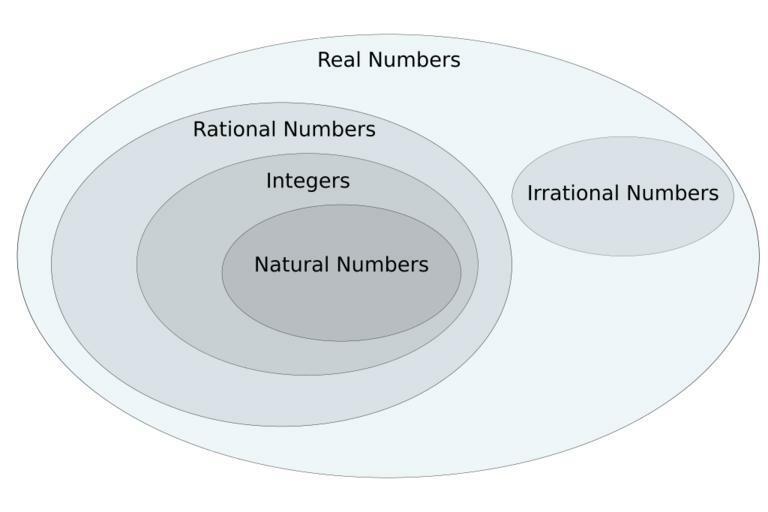 Real Numbers encompass all the numbers we typically use. So, what numbers aren't real? Any number multiplied by itself is a positive number. The square root of a number is asking - what number multiplied by itself is this number. So, the square root of a negative number doesn't exist. We came up with the square root of a negative number is "i". It's imaginary. Bob needs to buy a ticket that costs $40, and he only has $10. How much money does Bob need to buy that ticket? The answer is $40 - $10 or $30. If you didn't get the right answer, we need to back up considerably. Anyway, if you understood that one, try this one. Bob needs to buy a ticket that costs $40, but he owes $10. We cold think of that $10 that he owes as negative $10. How much money does he need? Well the formula could look like $40 - (-$10) = $50. When you subtract a negative, you get a positive. That's because the distance from -10 to +40, on a number line, is 50. Another question that comes up is "what is the difference between minus and negative? Well, according to Mirriam-Webster one of minus's synonyms is negative. For our purposes you're safe in thinking they're the same thing. Technically, negative is a point less than zero on a number line while minus is the symbol we use to say subtract. Bit they both end up doing the same thing. This is the whole numbers without 0. A rational number is any number that can be written as a fraction. Understand, all the integers could be written as fractions - 5/1 is a fraction, so the integer - 5 could be written as a fraction. Yes, there are numbers that cannot be written as fractions. These are numbers like "pi", or the square root of 2, or Euler's Number expressed as "e", or the square root of 3, or the golden ratio "phi".